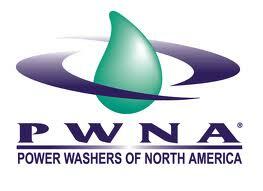 We are looking forward to seeing old, and making new, freinds at this years PWNA convention in Charlotte, NC. Nov 12 - 14th. Hope to see YOU there! Stop by our booth for some crazy savings on items like out ECO WASH House and Roof Wash; EPC (environmentlly prefered cleaner) all purpose cleaner; F9 Battery Acid Restoration Cleaner; #30 Masonry sealer; and more....or get your new Alkota pressure washer! Tracy will teach PW 101 on Thursday afternoon, and PW 201 , an advanced class (covering things like getting into commercial work, bidding, Equipment maintenance; and reclaim) on Fri the 13th! Take this class and make it your lucky day! I hear Beth will be there too! Looking forward to a great few days taking shop. See you soon! We will be in the Cleaner Times booth! Just wanted to post an update about the PWNA Convention in Charlotte NC. It was a successful show and we enjoyed our time there. It was great to see people that we haven't seen in such a long time, meet new business owners and exhibitors. Thank you to all who came there to see us and we hope to see you again at the next one. It was great to meet you too Mike! We had a great time talking to you!